Prices are client specific as each dog has their own individual requirements so please call for prices and check availability. 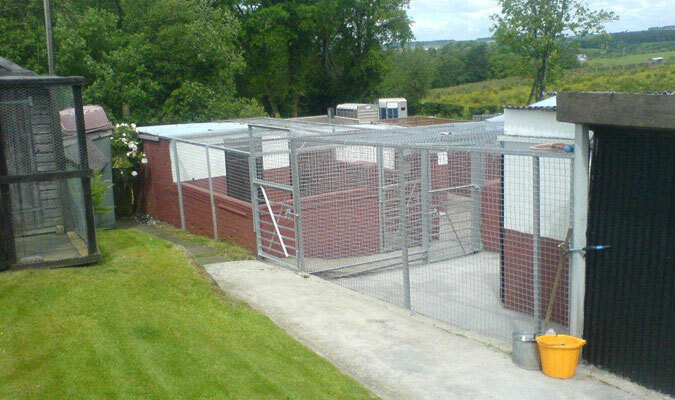 Based just outside Coylton, Ayrshire our dog kennels have been established for over 25 years. 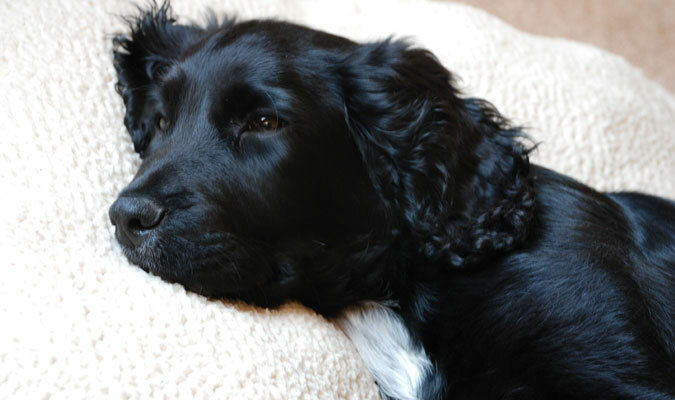 We provide secure accommodation for your dogs and our friendly staff are very experienced allowing you to relax knowing your animals are in safe hands. 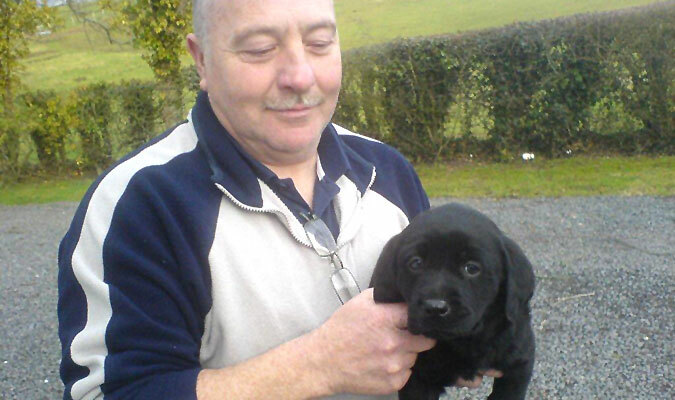 Young and old - all dogs are welcome we can even provide assistance with special dietary requirements or medical care. 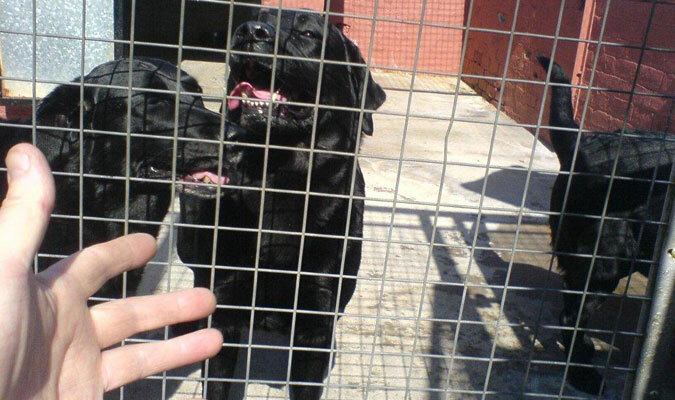 Accommodation Individual and Large Family Kennels are available. Any animals sharing must be from the same family. 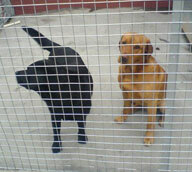 Heating Kennels can be individually heated using overhead infra red heat lamps. Bedding We use plastic Hyware beds with vetbeds in them. 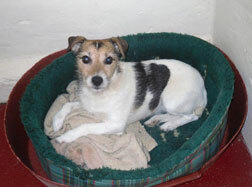 We encourage owners to bring their own bedding in, if they feel it would help the dog settle better. 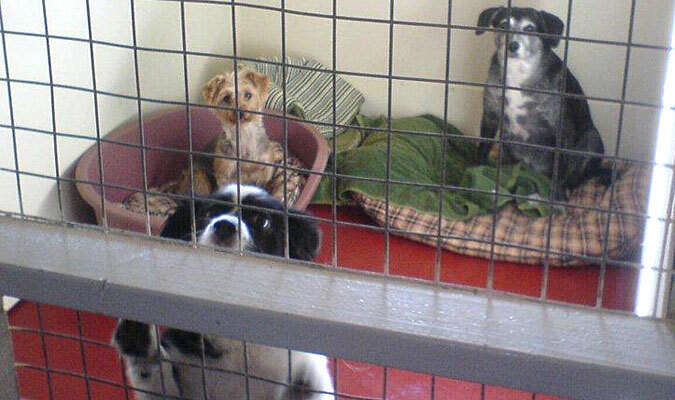 Just remember occasionally a dog chews more in kennels so nothing too good. Toys and Titbits Especially for pups are a good idea, bring in their favourites, fairly indestructible a good safe option. Individual Titbits can be brought in. All dogs after their late night check and puddle are given a treat before they settle for the night. Radio turned off then. All breeds are catered for. If you feel your dog is particularly nervous a night’s trial is encouraged. Diets We stock a variety of high quality foods. However if your dog is used to a specific food or is on a prescription diet we encourage owners to bring in their dog’s own food and leave instructions. Fresh food can be stored in our kennel kitchen’s deep freeze or fridge. We routinely feed in the morning and early evening, extra meals for the youngsters or older dogs can also easily be fed, just let us know their home routine for meals. Exercise Dogs all have their own individual runs. We also like you to bring in a safely fitting collar and lead so dogs can be individually exercised if you wish and if the dog is happy to be handled. Safety is the priority. Vet Treatment Leave your vet’s details and any health problems arising will be discussed with them and if needed the dog will go to them if within a reasonable travelling distance. Out of hours the 24 hour on call vet service will be used in rare emergency cases. Geriatrics or Special Needs are welcome and their special individual needs catered for. Chronic medical conditions e.g. Diabetes or Osteoarthritis can be catered for if medication and care plan discussed thoroughly before coming in. Vaccinations Vaccinations must be current, essential for Distemper, Parvo Virus, Hepatitis and Leptospirosis. We definitely prefer the Kennel Cough Vaccine and most dogs which come in are vaccinated against it. However we realise this is not always possible for some dogs for compliance or medical reasons, please take advice from your own vet.